On the fence about GH5? No problem! There is now a demo up on Xbox Live to try out that includes a few songs to show off the new modes, so click on the game cover or the link which will take you to the Marketplace for Guitar Hero V so you can queue it up! 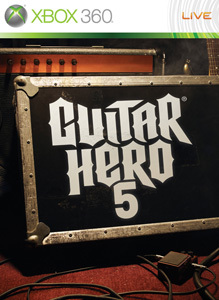 "Play the Guitar Hero® 5 demo, featuring 3 songs in the all-new Party Play mode where you can jump in/jump out of songs at any time. Shred with 4 guitars or any combination of instruments*. Rock out to 85 of the hottest Rock ’N’ Roll songs by 83 artists. GH5 also features Rockfest, a competitive mode that tests your skills against 4 local players or up to 8 players online. Expand your song library with your GH: World Tour Downloadable Content and import some on-disc songs from recent Hero titles."